These snowy and cold days are the best time to get close as a family and spend some time playing. While we have an option to watch movies or play computer games, this time we decided to switch to making crafts and creating our own stories thanks to Peekapak. Peekapak is a monthly subscription service that offers an activity pack to kids aged 4-8 to inspire imagination and creativity in children. Each box combines the magic of storytelling with hands-on craft activities the whole family can participate in. The box we received was about Value of Friendship. Fist we read a story about a Peekaville Elementary School Creation Fair and learned how Menka, Cody and Leo became friends and then following their adventures we were able to re-create what kids did in the story. Teddy also found that every kid loves doing different things, for example, Cody loves to paint and Menka loves building. 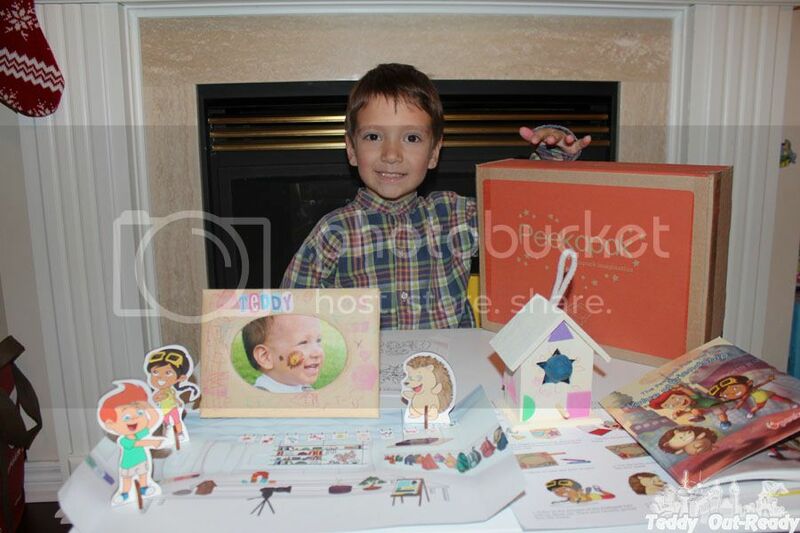 The box included two crafts: a birdhouse and a photo frame. We decided to start with a birdhouse, to color and decorate using crayons and then colorful stickers. Teddy was so excited to color the house first and then cut different shapes and decorated the bird house. Next craft was about creating stamps and memories. 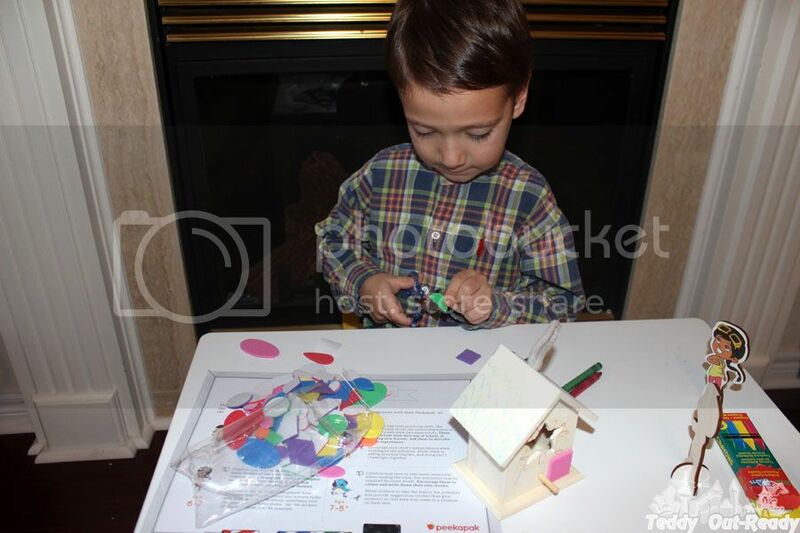 Teddy selected the shapes for his photo frame to decorate and we stuck them to a wooden cube. Then using the ink pad we made stamps on our photo frame. It was really interesting to add different shapes like circles and squares. Teddy also added his name using letter stickers. To add some unique touch Teddy colored the frame with crayons. And final step was placing a photo into the frame, looked really nice and unique. 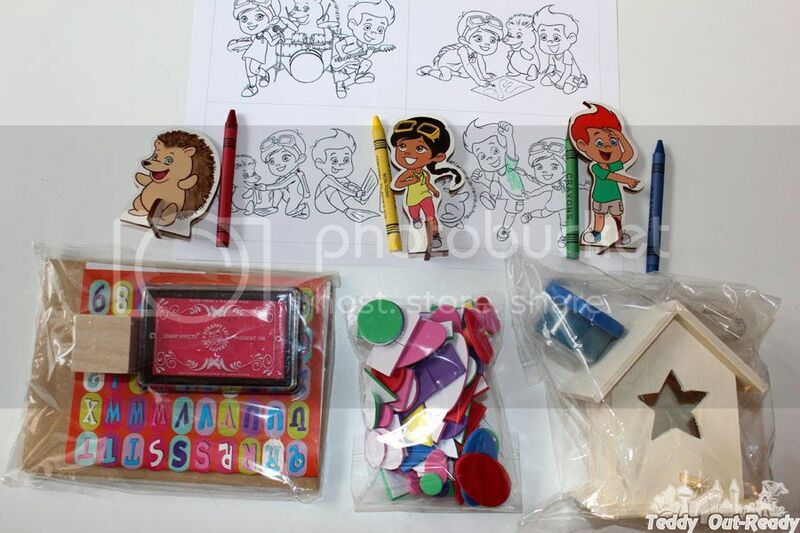 I have to say that Peekapak has all necessary tools in its pack, including scissors for little fingers. In case you decide to take it for grandma’s house for holidays or just stop by your friend's house, you can take a box with you and do not worry about anything else. All necessary items are already in it, just play and have fun together. Then Teddy made a little blue bird using the clay from the box, it looked pretty sitting in our birdhouse. While our craft activities were over, our imaginative plays were about to start. Using class set up and the wooden characters, we can create and tell our new stories about friends, teachers and school and what everyone loves to do and why. Peekapak is really fun activity for the whole family, do we have another time to gather together and create something with our hands without watching TV or using apps? It is a quiet time to be together, create something new and play like we are little kids again. For more information about Peekapak please check their web site, they have so many deals recently so you might like to take advantage of them.